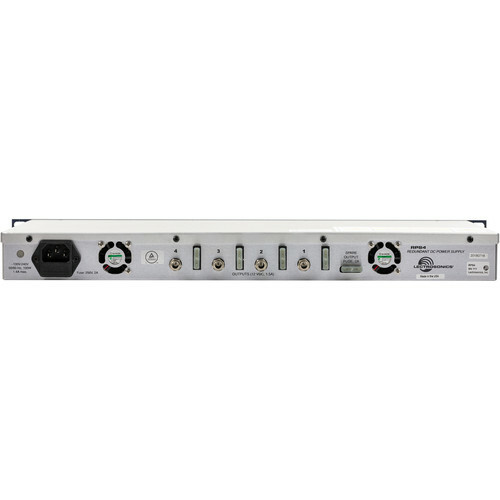 The Lectrosonics RPS4 provides a highly reliable DC power source for low voltage devices such as wireless microphone receivers, IFB transmitters and audio signal processing equipment. Two internal power supplies and two temperature controlled fans operate in a failover mode for an automatic backup in the event one of them fails. 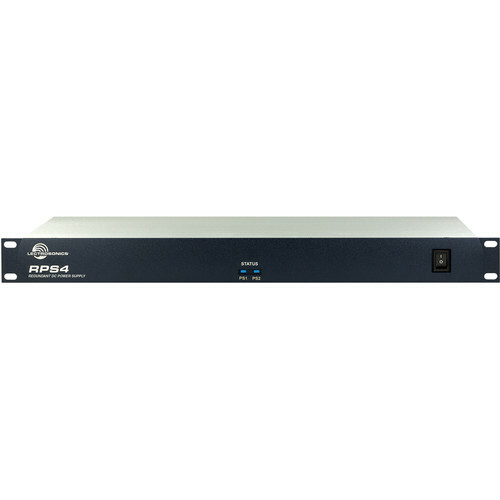 The 1RU chassis eliminates the need for a separate power strip with individual “wall warts” or “boa style” power supplies for each low voltage device. Power cables from the RPS4 to the devices can be securely routed to prevent inadvertent disconnects and free up space on power strips in the equipment rack. The DC power connectors are a threaded, locking type for reliability.